As much as we'd love to say that bullying on social media platforms is becoming less and less of a problem, it's not. And despite positive efforts by celebrities and other social media influencers to raise awareness and lessen the disrespect, it will probably never go away. Discouraging, but true. And, not surprisingly, social media networks are feeling the heat. As much as we love checking our feeds, we'd be remiss to ignore the inner stirrings that take place as we scroll—anxiety, comparison, jealousy. And we'd love to say that a friend's seemingly perfect engagement announcement, staggering fitness transformation, or epic trip to Italy doesn't impact us on a mental level, but it does, and it's pretty hard, if not impossible, to remain mentally indifferent. And then there's bullies—and the myriad mean-spirited and childlike comments they rain down on celebrities, influencers, and everyday people with reckless abandon. Though all social media networks come with their fair share of trollish activity, Instagram has been rated as one of the worst. In fact, according to a recent study of almost 1500 teens and young adults, the app was heavily associated with high levels of anxiety, depression, bullying, and FOMO, or the "fear of missing out"—the study directly calling out the platform as being ranked "the worst for young people's mental health." In response, Instagram is making some (very refreshing) changes and stepping up its game when it comes to profile settings and resources it offer to its followers. Two days ago, CEO and co-founder Kevin Systrom took to the app's profile to announce the up-and-coming adjustments in support of mental health and the community's safety in self-expression. "Today, we’re announcing new tools and programs to keep Instagram a safe and positive place for self-expression. Since the beginning, we’ve tried to make Instagram a welcoming place for everyone. Our community has grown to 800 million, with 500 million using it every day. It’s more important than ever to strengthen our commitment to safety and kindness." So what's new? Though Instagram has been working steadily to introduce tools that will help users manage their settings (including the ability to disable comments altogether), it's taking its commitment to the next level when it comes to managing snarky comments. Now, even if your account is public, you'll be able to customize who can or can't comment– "from everyone to just groups of people, like people you follow or your followers," Systrom says. "In June, we launched a filter to block certain offensive comments in English, today we are expanding this filter to Arabic, French, German and Portuguese. The filter will improve over time, enabling the community’s experience of sharing to improve as well." 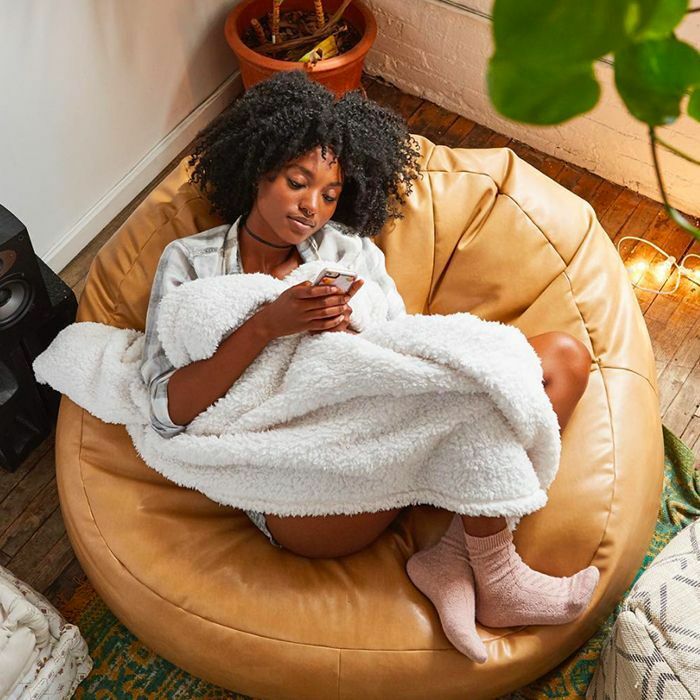 What we're most excited about, however, is the Instagram team's concern and outreach in terms of its users' mental health: "We're continuing to provide mental health resources to you when you need them most. If you see someone going through a difficult time or in need of support during a live broadcast, you can report it anonymously. The person will see a message offering help with options to talk to a helpline, reach out to a friend or get other tips and support. We have teams working 24 hours a day, seven days a week, around the world to respond." To learn more, visit Instagram-Together.com. Next up: This is how gut bacteria can impact mental health.